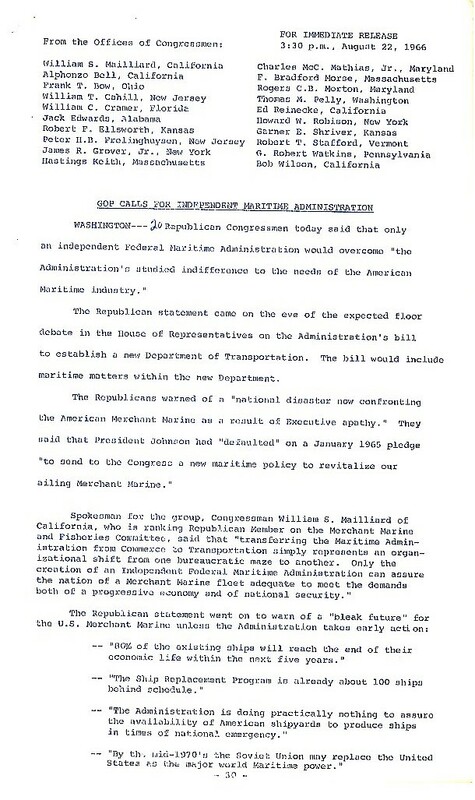 Stafford, Robert T. "Press Release from Republican Congressmen "GOP Calls for Independent Maritime Administration"." Press Release. Robert Stafford Papers, General Legislation Series, Carton C7, Folder 9, Special Collections, University of Vermont Libraries. Accessed 19 April 2019. http://acsc.lib.udel.edu/items/show/462.